Bookmark comments this past 'update' just gone. I had to export all bookmarks to get to them. Thankfully they are still in the DB in the profile folder. Just not from the ways one accesses bookmark from the browser. MEH! Do you use that for searches? It's from a content tag some websites use. I am currently @ FF 62.0.3 64 bit, the description field is gone. Just to confirm your suspicion, with both browsers. It's not just an interface thing, the old version still saves the description and the new one doesn't. I'm sure you saw that in your export, but a tagged-one showed up at the bottom when I used the older version. It's interesting they both use the same file, sqlite I think. I guess that's one reason the 32 and the 64 bit can't be opened at the same time. The devil and Jesus both claimed to be the greatest computer programmers of all time so they decided to have a contest to show humanity. At the end of the day, right before the time was up the power went out in the arena. When it came back on the devil wanted to start the competition again because he lost all his work. The rules committee came out of a huddle and declared Jesus the winner. The devil said it wasn't fair and demanded to know "Why?" The rules committee said it's simple: "Jesus saves." Used to hear Jimmy Smith on the blues station I listened to in high school. How cool is this? I discovered a way Firefox simplifies using search engines. It's easy and it is not the standard search engine menu next to the address bar. 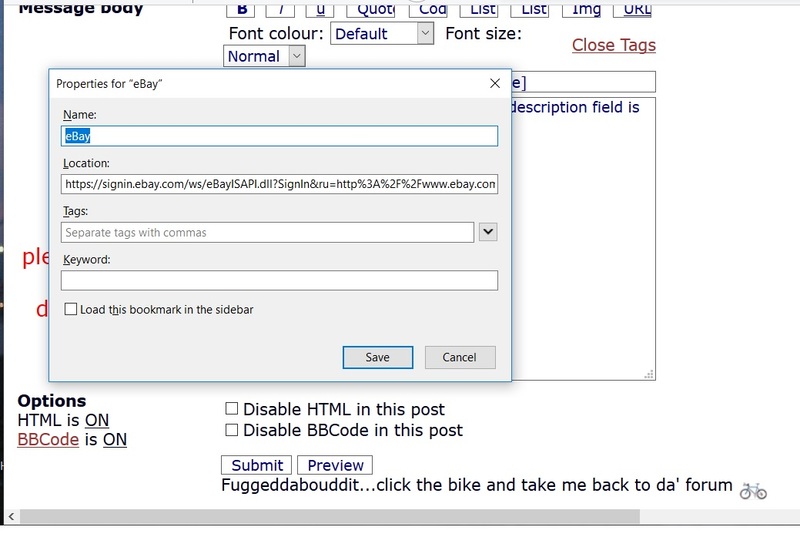 It lets you use any search engine, even the one for CyclingForum. If you're interested I'll paste in the details. It's based on the keyword feature.